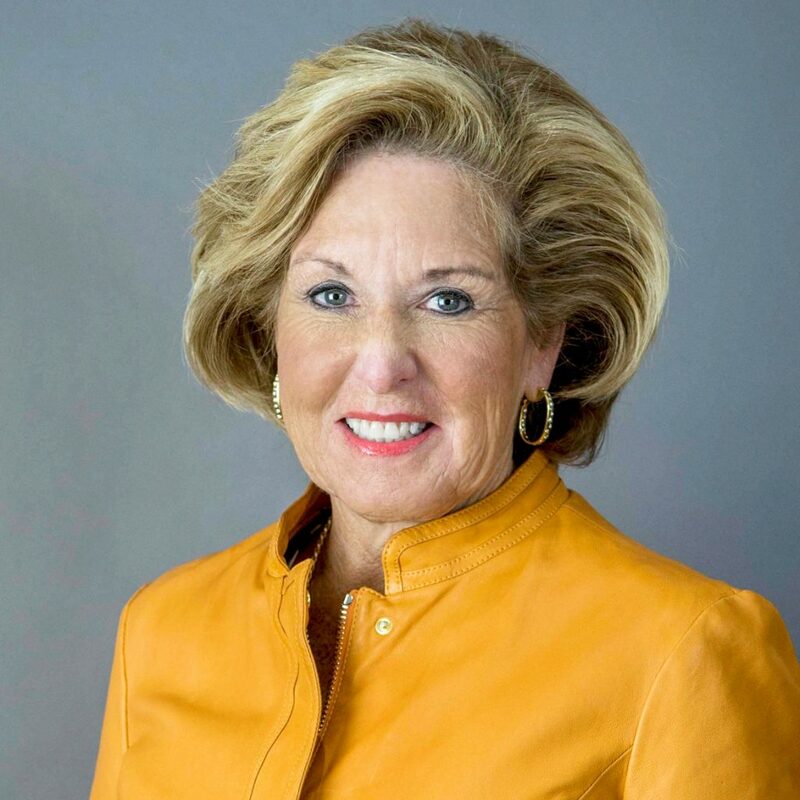 Cordia Harrington is CEO and founder of The Bakery Cos., a highly-automated, high-speed baking company that produces over seven million baked goods daily and employs more than 500 people, serving elite customers in the United States, South America and the Caribbean. As CEO, Ms. Harrington guides the executive team to successful planning, business development, sales and marketing, and brand management. Ms. Harrington serves on the Bank of Nashville Board of Directors, the Zoë’s Kitchen Board of Directors and the Tennessee Lottery Board. She is a member of the Executive Team of Belmont University’s Board of Trustees, Chief Executives Organization Board of Directors, American Bakers Association Board of Directors and the Nashville Entrepreneur Center Board of Trustees. Ms. Harrington attended Kansai Gaidai University in Osaka, Japan; she graduated from the University of Arkansas with a Bachelor of Science degree. She currently resides in Franklin, Tennessee, with her husband Tom. As a McDonald’s Owner/Operator, I served on the Bun Committee, auditing the Fresh Start Bakery in Kansas City. It was amazing to visit the plant, learn about supply chain, and meet the talented bakers. I was certain this was the career for me, even when it took over four years and over 30 interviews to get the opportunity to become a McDonald’s baker. I am forever grateful for Craig Olson’s patient mentoring, and for his and Chip Klosterman’s partnership with me to build Tennessee Bun Company. The biggest challenge we faced after building Tennessee Bun Company was production volume. It dropped from the expected 40 hours/week to only 28 hours/week for the first 18 months. It was so difficult to take care of our associates who needed the hours. It was very stressful, and we worked very hard to get additional sales for our team to have work—and to keep the business afloat. I cried myself to sleep almost every night. It was a scary time! As a newcomer to the Bakery Industry, I was enthusiastic and eager to “make changes”more windows in the plant, PTO vs. vacation time, cute uniforms, and many more…not every idea was a “good one”…I learned that my fellow bakers had reasons for the way things were done in our industry…I needed to stop, listen and learn! I think any newcomer would have a learning curve, woman or man. Overall, the industry was welcoming and kind. It is a fabulous industry of great people. My career has many highlights—the visit from President Bush in 2007, the community & industry awards, and travel to visit customers and other bakers—but working side by side with my amazing husband Tom, the best highlight is the opportunity we have had to “make a difference” in so many lives. We have helped 17 former employees become McDonald’s Owner/Operators, helped over 60 students with scholarships, and have made a positive difference in many lives, thanks to the bakery. That is a highlight to me. My job is so much fun: strategizing, mentoring and encouraging; visiting customers, and volunteering in the community. The bakery industry offers a fantastic career opportunity for men and women! The “art and science” is challenging everyday…no two days are the same. If a person wants a career that allows them to move around, move up and work among great talent—this is the right industry! Hobbies include travel and all water sports…interests are connecting people for success and for new opportunities…helping them reach their dream. I have two: Joe Waters, CDO of The Bakery Cos., and Craig Olson, former President of Fresh Start Bakeries. They are both patient and very detailed and know the bakery industry inside out. They are amazing leaders—terrific and honorable men with the highest integrity! The most interesting person I would invite to a dinner party is Barbara Bush. She is funny and clever, fascinating and keeps the conversation very exciting! I would switch places with one of my granddaughters Zoe or Annabelle (ages 3 and 1/1/2)…it would be fun to watch my watch my sons (Hunter, Brad, Tyler) and daughter Beth grow the business and see what the what the world will be like in 30 years!! The ABA events are amazing, and I really enjoy the BEMA events. BEMA encourages the entire family to attend and that adds such a rich engagement opportunity. It is fun to become friends. It is always more enjoyable doing business with friends! For sure…our English muffin! I eat one every day! Having the ability and flexibility to live out our mission to create opportunities, make a difference and impact lives…every day. Tom and I are very proud to welcome our three sons and daughter into the business.